Make sure everyone is safe online. Online Gaming Security is a topic that many might overlook. In his monthly security newsletter to staff, Jason Gay, Senior Director of IP/IT & Transport for OTELCO, offers some important information and tips for protecting yourself. 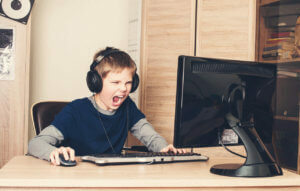 In general, online gaming may involve both social risks and technological risks. Thus, many online gaming risks are similar to those computer users may have already encountered, but they may not have realized that the games pose another opportunity for the compromise of their privacy or computer security. Create a family e-Mail address for signing up for online games. Screenshots: If anything bad happens while playing online games, stop immediately and take a screenshot (using the “print screen” button on the keyboard) and report it — using the screenshot as evidence. Be cautious about opening files attached to e-Mail messages or instant messages. Verify the authenticity and security of downloaded files and new software. Configure your web browsers securely. Use a firewall. Set up your user profile to include appropriate language and game content. Set time limits for children. Never download software and games from unknown websites. Beware of clicking links, images and pop-ups in the websites as they may contain a virus and harm the computer. Never give personal information over the Internet while downloading games. Some free games may contain a virus, so be cautious and refer while downloading them. Check out the OUCH Newsletter published by the SANS (SysAdmin, Audit, Network, and Security) Institute for more information. It’s not just children who are susceptible, CNET shares an interesting PEW Survey about adults and video-gaming. Furthermore, the threat isn’t limited to the home. Today’s new corporate culture permits employees to BYOD (bring your own device) to stay connected with personal email, gaming, social media, etc (during lunch and breaks of course). Making sure that your guest network is secure might not be a bad idea.